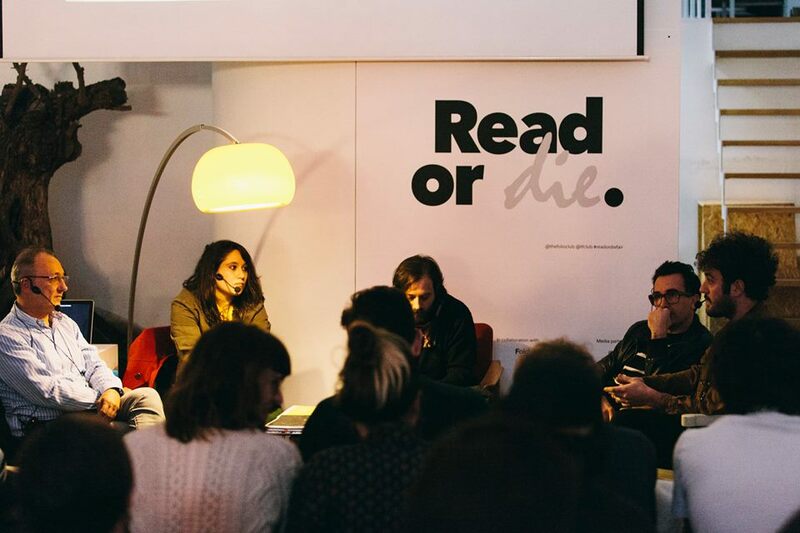 As guest editor and co-author of The Book: On Endless Possibilities“, published on the event of the Read or Die Independent Publishing Fair. The Folio Club. Barcelona, November 27-29, 2015. 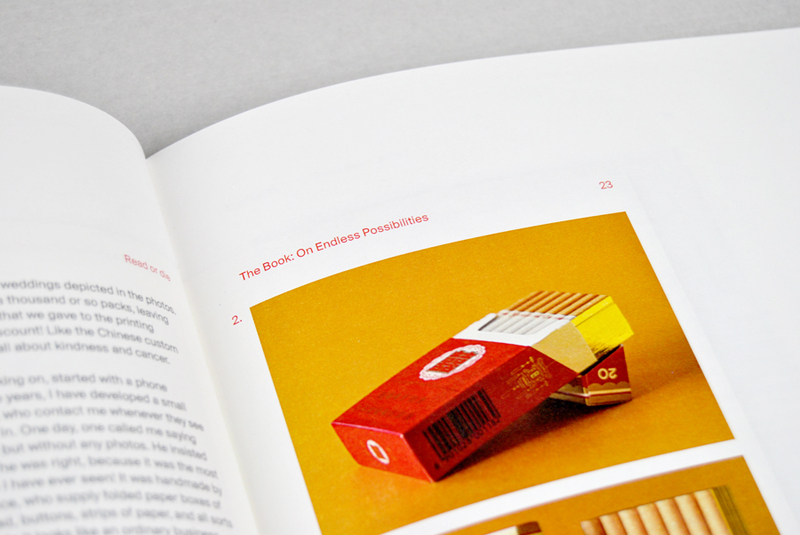 The Book: On Endless Possibilities. 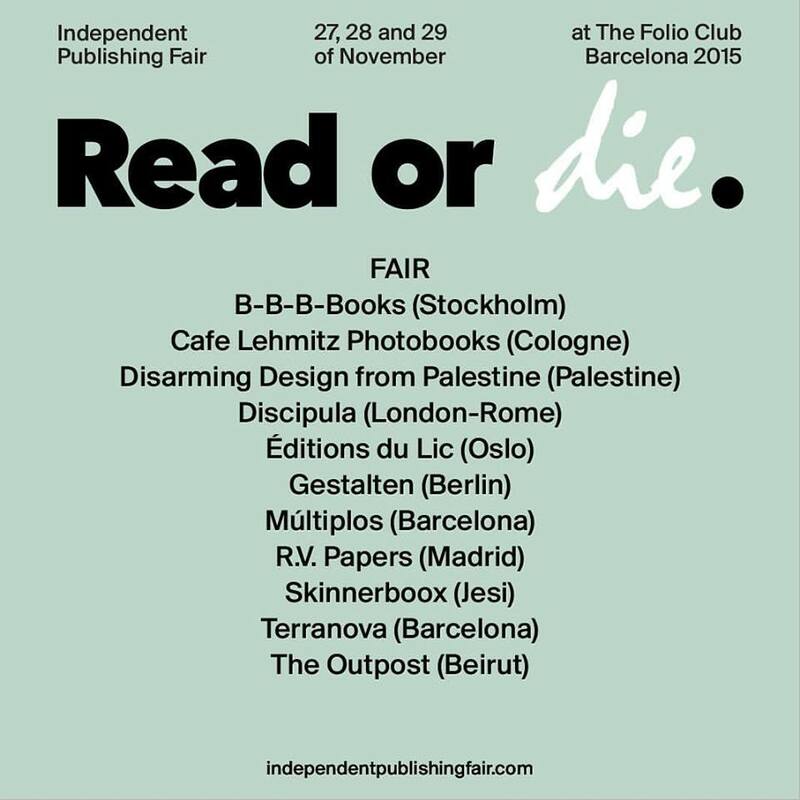 Issue published on the event of “Read or Die Fair” Independent Publishing Fair by The Folio Club, 2015. English / Spanish version. Llmited edition of 150 copies. This publication provides a thorough analysis of the predominant creative-artistic panorama in the contemporary publishing culture. It is also meant to contribute a solid theoretical framework in the study of the newest independent publishing practices,tackling independent publications from a new angle: less than solid and static book formats and more as carriers of a more holistic experience, when it comes to perceiving, engaging, cohabiting and working with contents and printed matter form. The Book: On Endless Possibilities embraces an array of international editorial practitioners whose open-ended hybrid editorial practices lie in the intersection of various fields and experiences: From photobook making to art books collecting, and from activism and artist/curatorial experiments to performance and appropriation. 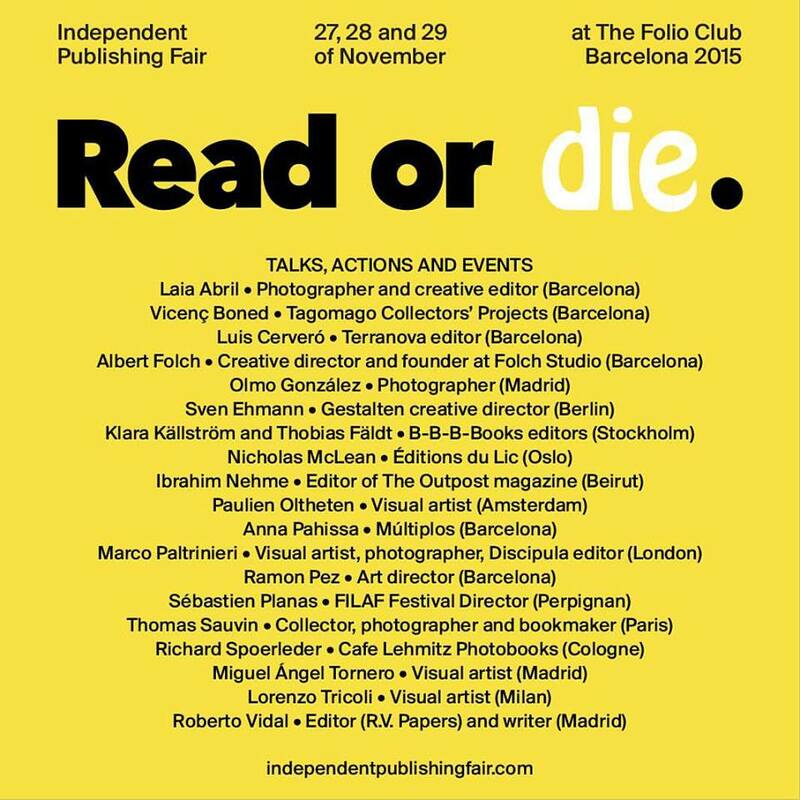 This edition was published in conjunction with Read or die, Independent Publishing Fair at The Folio Club, Barcelona, November 27-28-29, 2015. An initiative by The Folio Club with the support of Kodak. 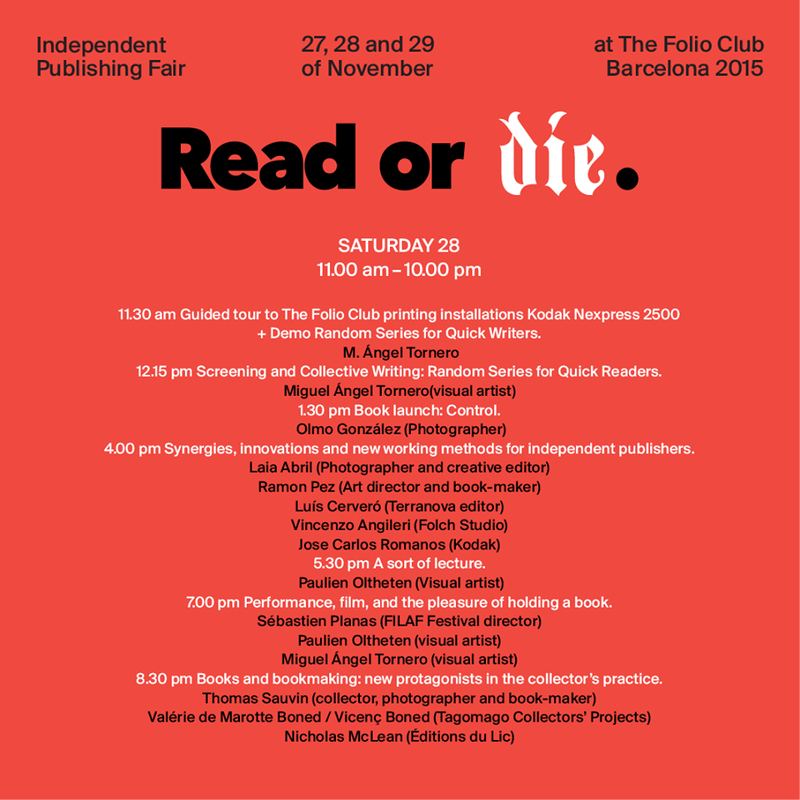 © 2015 Read or Die, The Folio Club. 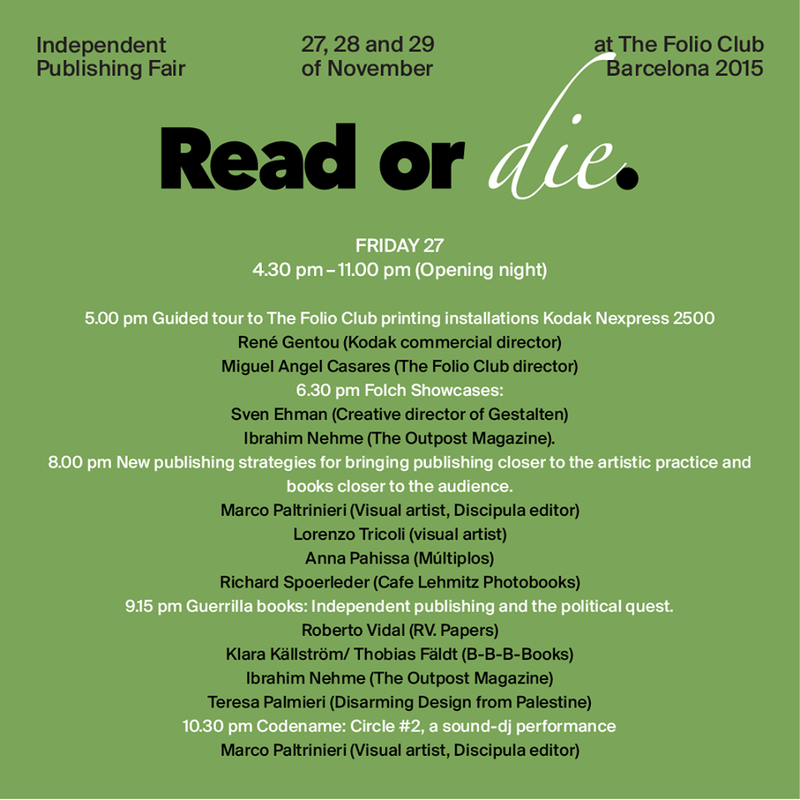 © 2015 Read or Die, The Folio Club. 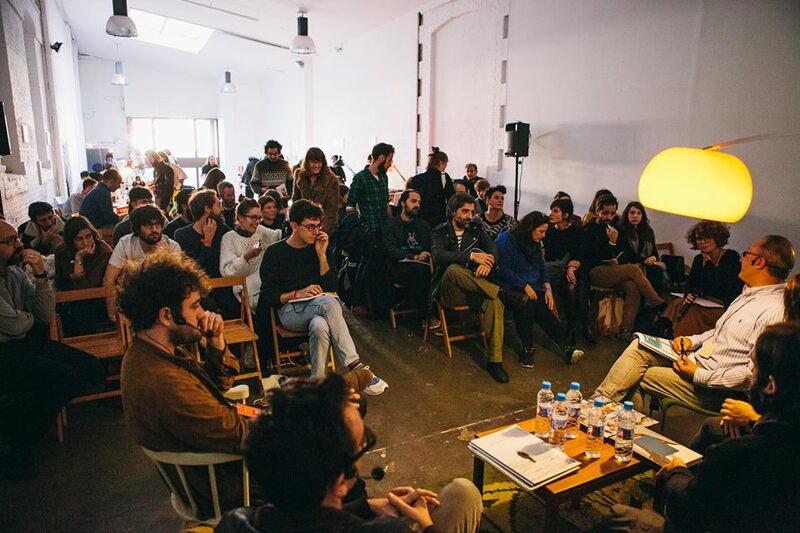 Let’s Kill The Ego: Bookmaking, Democratization, Teamwork and Other Blocks of Thought by Laia Abril, Ramón Pez and Gonzalo Golpe. Random Series for Quick Writers by Miguel Ángel Tornero. 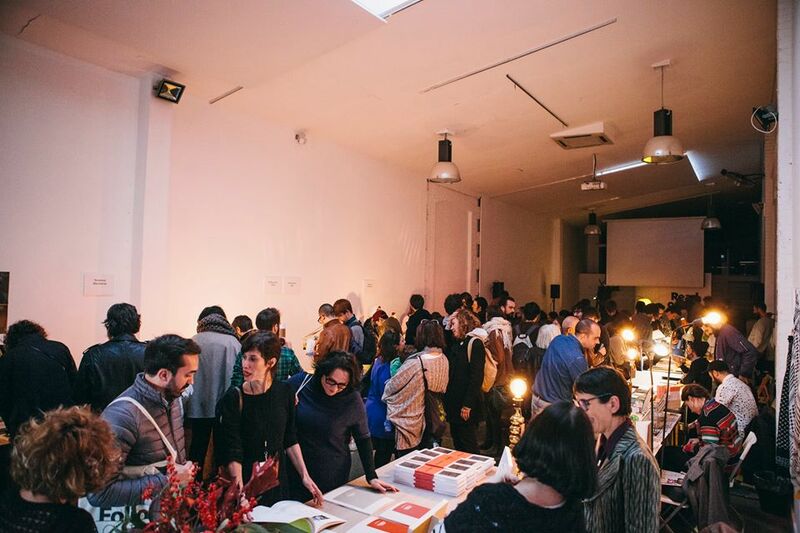 Publishers Showcase: B-B-B-Books (Stockholm) / Cafe Lehmitz Photobooks (Cologne) / Disarming Design from Palestine (Palestine) / Discipula (London-Roma) / Éditions du Lic (Oslo) / Múltiplos (Barcelona) / R.V.Papers (Madrid) / Skinnerboox (Jesi) /Terranova (Barcelona). 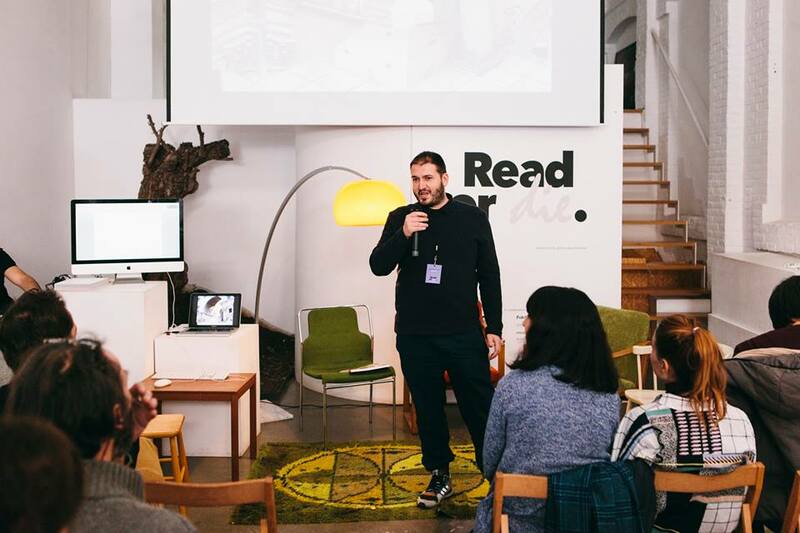 As guest co-editor alongside The Folio Club and Foch Design Agency of the contents of the talks & actions program that took place during Read or Die Independent Publishing Fair. The Folio Club. Barcelona, November 27-29, 2015. Read or Die Independent Publishing Fair. 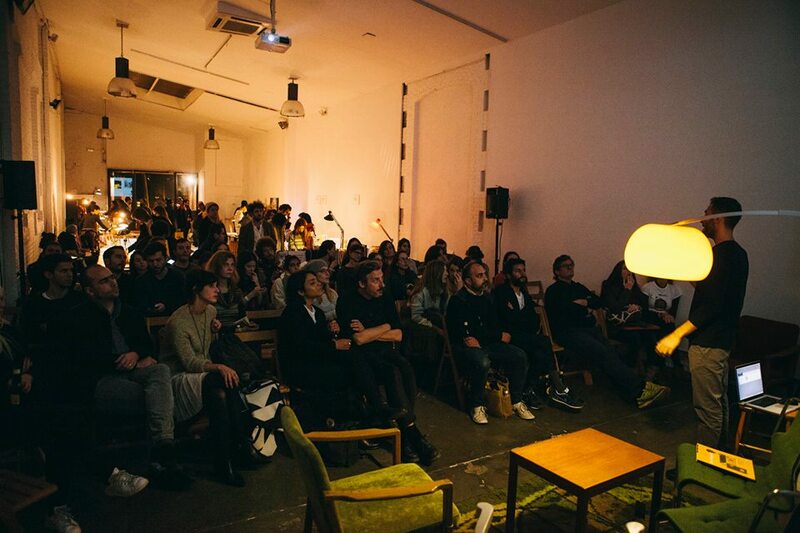 The Folio Club, Barcelona, 2015. 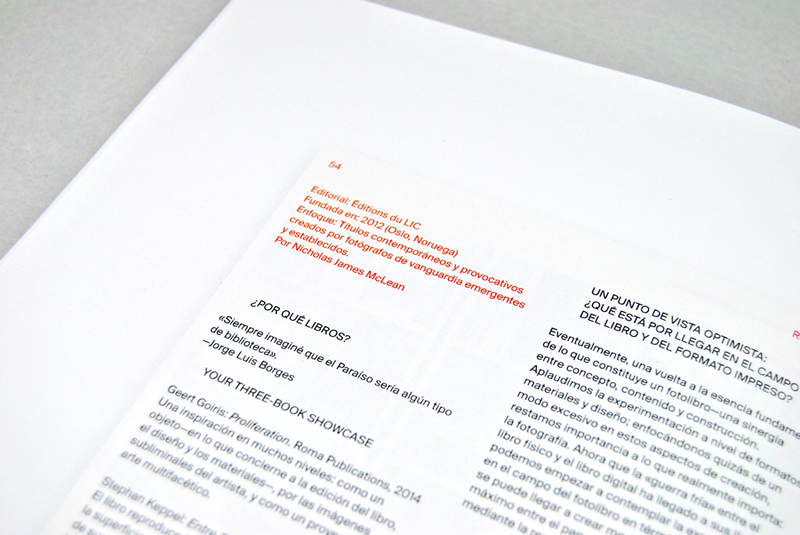 Communication elements (Design Folch Agency) + Talks and actions pics. Courtesy: The Folio Club. Read or Die publishing fair was established with the aims of supporting the independent publishing sector and providing a showcase to a series of creators committed to the print format. 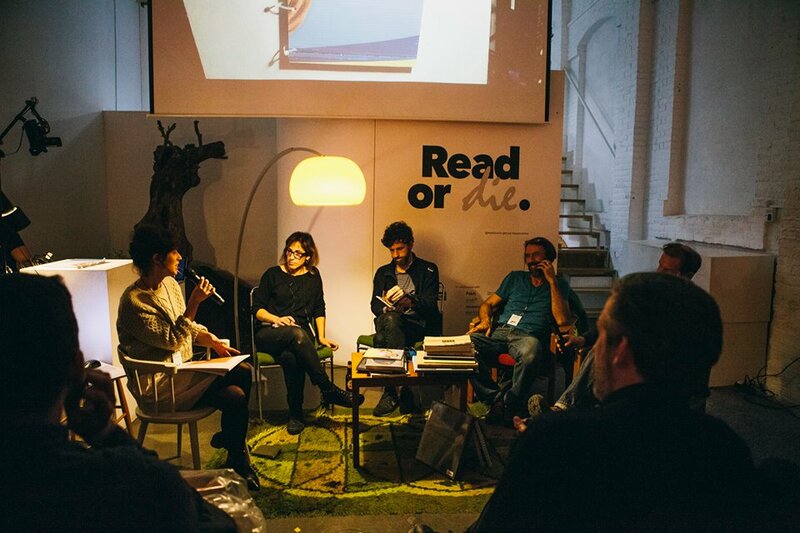 Read or Die was articulated through a fair, a talks & actions program and a publication. All the events took place on November 27, 28 and 29. 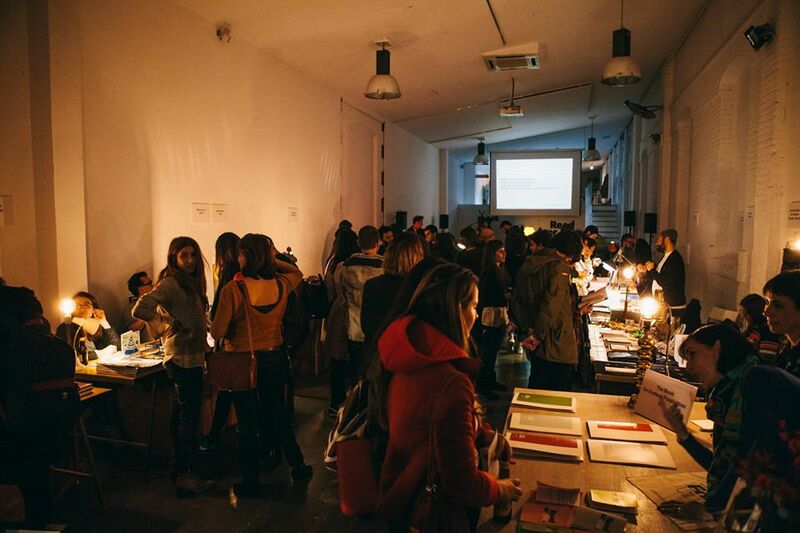 The Fair hosted a selection of artists, publishers, curators and collectors coming from different countries to offer a wide selection of projects from magazines to artists’ books and other creative formats on paper. 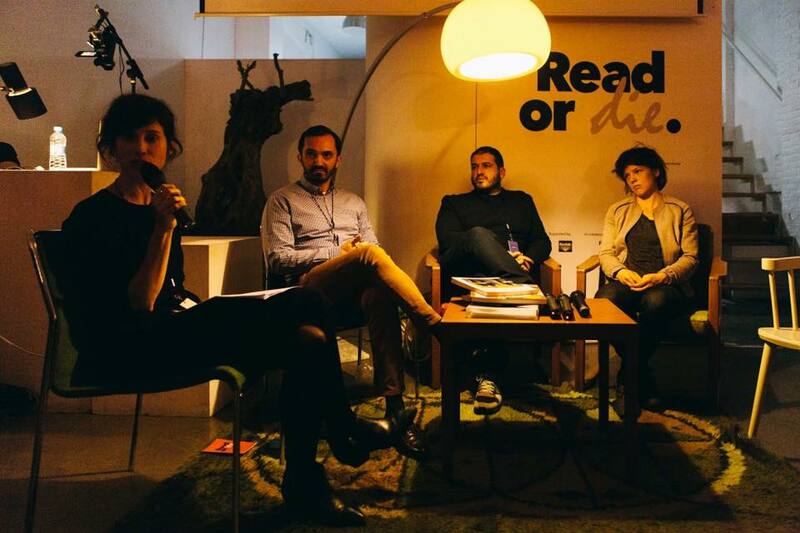 One of the strongest points of Read or Die was the variety of practitioners who participated in it. This polyphony was made visible through a series of talks & actions that will brought together editorial practitioners from fields as diverse as design, communication, editing, bookmaking and collecting, with the aim to provide a space of debate and brainstorming on novel forms of engagement and experience related with the printed matter. 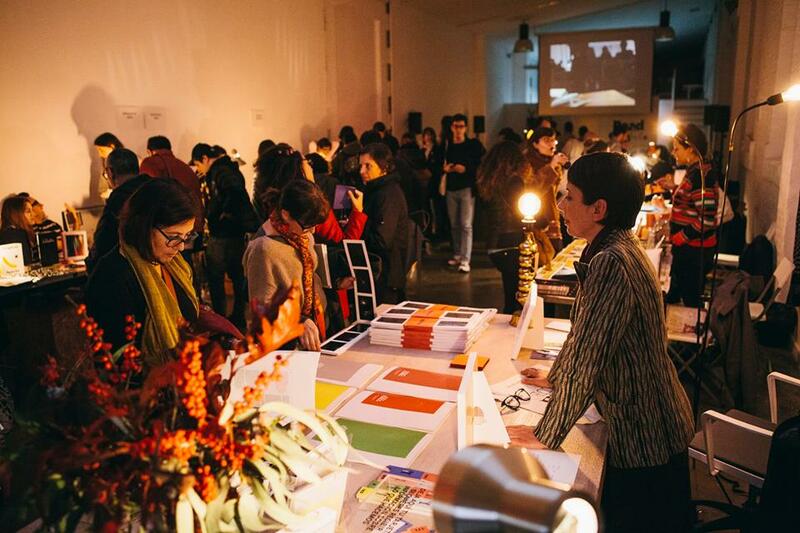 The talks’ section constituted a dynamic space enabling, on the level of audience interaction, a further reworking of the contents of “The Book: On Endless Possibilities”, a publication curated by Natasha Christia, while showcasing a special selection of projects presented by Folch (Design Agency). Natasha Christia: Introduction statement to The Book: On Endless Possibilities. The Folio Club, 2015. This publication was born out of our desire to explore new paths of experience and dissemination related to printed matter today. 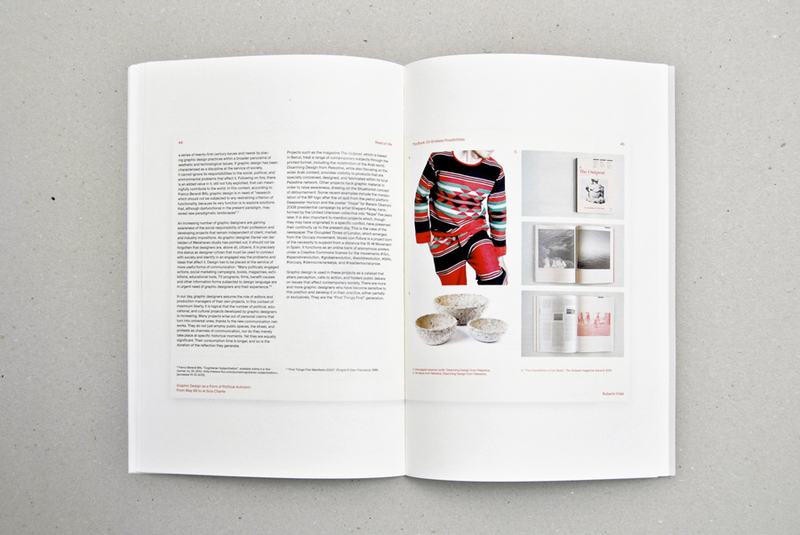 Our use of the term “printed matter” embraces visual narrative books, photobooks, artists’ books, magazines, zines, and all sorts of paper-multiples through which independent publishers, individuals, and collectives leave their intellectual and aesthetic imprint on the world’s bookshelves. In fact, our aim is to break away a little from strict categorizations and rigid terms that are becoming increasingly repressive. As members of a multi-cultural, multi-tasking global community, we feel more inclined towards hybrid, interdisciplinary, try-out models of creative expression. We have therefore invited an array of international editorial practitioners to investigate some fields of ongoing and potential innovation: visual artists who have proposed specific pieces for this book, artists who integrate publishing into their work, collectors who unexpectedly turn into visionary book-makers, making the most of the printed format as an element in their object-circulating systems, as well as designers, photobook makers, creative editorial teams, activists, theorists, and festival organizers. All of them are engaged and committed agents whose first-person daily practices are nourished by the intersection of various areas and multiple viewpoints. All of them declare themselves devoted and unconditional lovers of the physical book. From the outset, instead of reinvigorating the bibliophile tradition, our idea was to provide a more positivist and breezy discourse. Yes, we have assimilated the fact that paper is here to stay; despite the virtual revolution of the last two decades, paper is back. Today, perhaps more than ever, independent publishing is faced with countless technological possibilities. Plus, it has turned into an affordable enterprise. Individuals, groups, artists, and thinkers on the fringes of mainstream publishing can finally conceive, self-produce, promote, and deliver to the world their pieces of visual storytelling, art, and argument. Something tells us that people like El Lissitzky (who back in 1926 wrote his prescient essay “The Future of the Book”) would be utterly enthralled to see what is happening today. In spite of financial difficulties, the supposed demise of printed matter is simply not taking place. If books are out there today, it is because they are being published and printed more purposefully than ever by courageous publishers who put their soul, time, and money into them, in defiance of the laws of a sluggish market. And, if these books are to be seized, they are seized by the hands of an equally courageous and strong-minded audience sharing specific affinities and values. Our penchant for the new—for bringing together different disciplines and for producing new kinds of content and cross-currents—has drawn us to reflect upon the possible future configurations of the printed format. True, a book is nothing but a book, and the medium of printing, as we know it, is just a few centuries old. Let us assume then that in the aftermath of a short past there is a lot to come. Having said that, at what crossroads do we find ourselves in the here and now? How are we to experience books in a novel way? If we were able to experiment without the constraint of budgets, what would this imply? We look at independent publications from a new angle: less as solid, static book formats and more as carriers of a rather holistic experience, when it comes to engaging, cohabiting, and working with their contents and material form. The past and an awareness of it are fundamental to us. We are indebted to twentieth-century modernism, which made artists’ books the quintessential form of its experimental avant-garde creation. And yet, at the same time, we acknowledge the need to break frontiers, to speak in broader terms, to build bridges between creative arts and the world of craft, to address the policy issues that concern them, and, last but not least, to engage in a conversation about our audience/followers and their own word. The Independent Publisher’s View: Drawing upon his personal experience, Marco Paltrinieri writes about Discipula, a collective of visual thinkers who employ independent publishing not merely as a complement to their artistic practice, but rather as an autonomous, installation-like artwork. By encompassing image, text, archival studies, digital outputs, or even sound experiments, the hybrid editorial production of Discipula serves as a carrier in a journey from medium to medium. It ultimately provides a clear example of how independent publishing, integrated into artistic practice, can reinforce a politically- and socially-aware, face-to-face engagement with the market and the audience. The Collector’s View: Thomas Sauvin (50% collector/archivist, 20% artist, 10% designer, 10% photo editor, and 10% social media communicator, as he describes himself) is a unique case in today’s photobook world. The object-books that Sauvin has published, drawing on material from his own collection of Chinese vernacular photography, expand the cultural connotations of the book-like artefact even as they challenge received notions of reading, sequence, and form. 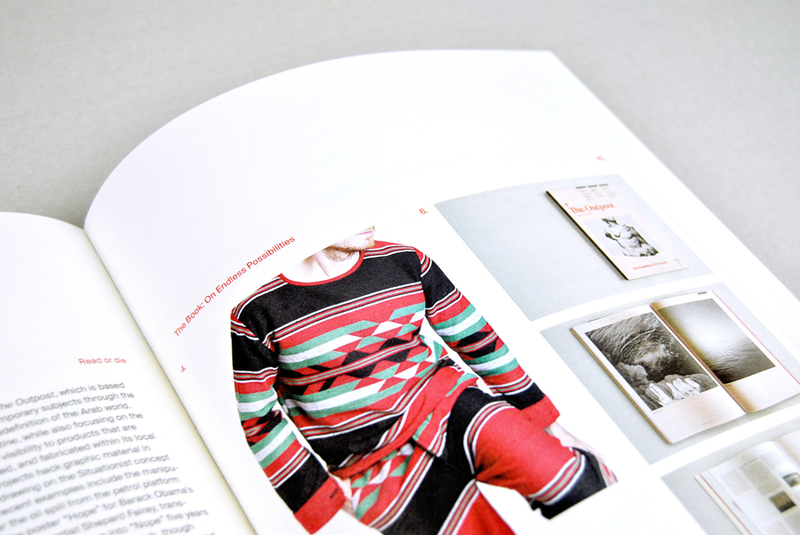 At the same time, they offer a novel vision of the ways a collection can be assembled, shared and put in circulation. 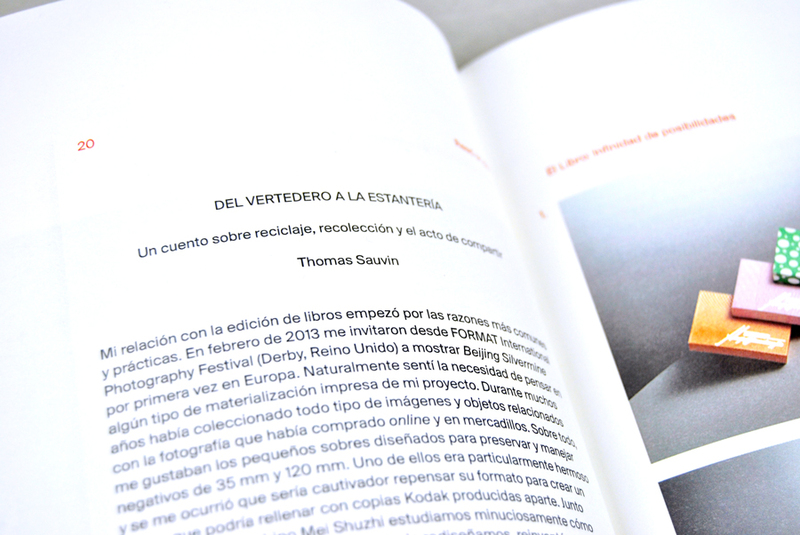 The Bookmaker’s View: In a ping-pong dialogue, the team of visual artists/photobook-makers Ramon Pez & Laia Abril and creative director Gonzalo Golpe explore the creative possibilities inherent in book production. 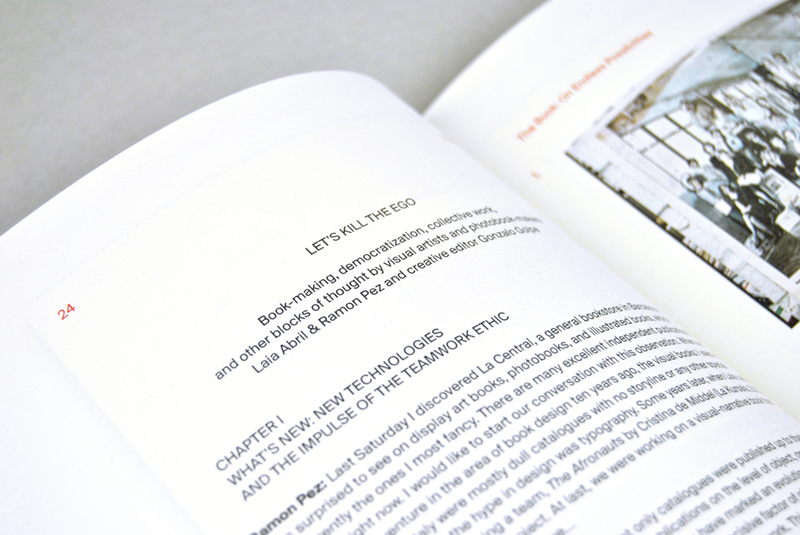 Testing the limits of print conventions, they share their thoughts about the new conditions and formats of teamwork, the orchestration of the book as object, and the margins available to inspiration and experimentation. In addition, they pose a handful of daring questions about the limits of language, examine our present state of being, and offer some clues to the future. Correspondences: In October 2015, an email exchange took place between Paulien Oltheten (visual artist from Amsterdam) and Sébastien Planas (director of the Festival International du Livre d’Art et du Film, or FILAF). Prior to their virtual encounter, Paulien and Sébastien were complete strangers to each other. Their task was to rethink the physical, static nature of visual narrative books in regards to performance, film, and real-time experience. But their dialogue soon turned into a fascinating tableau of thoughts, an existential and philosophical exquisite corpse on the subjects of bibliophilia, reading, and the possibility of actually becoming a book. Illustrated with records of Oltheten’s visual actions, their unfinished correspondence will be continued and completed during the upcoming edition of Read or Die in November 2015. The Activist’s View: Design and book-making would be historically irrelevant if not viewed from the perspective of guerrilla politics and social engagement. At a time of online networks, global sharing, and, above all, social and political turmoil, the concept of independent publishing as a democratic multiple has been restored, providing a crucial impetus to those advocating the right to make other voices heard. In his essay, Roberto Vidal (founder of RV.Papers in Madrid), follows up these thoughts, highlighting the role of design as a tool of political and social engagement from May ’68 to Charlie Hebdo. He reviews a series of editorial platforms, such as Disarming Design from Palestine and The Outpost, which circulate outside institutional circles, aiming to ignite awareness of non-Western contexts. The Artist’s Pic 1: Finally, two artist pieces have been conceived specially for this book. The first piece to be featured—Lorenzo Tricoli’s Divine Fire—is a conceptual, revisionist approach to the history of the book in the broadest sense. Departing from the assumption that “a book is a book”, Tricoli attempts to revisit the past, associating paper with conflict, politics, and fire. 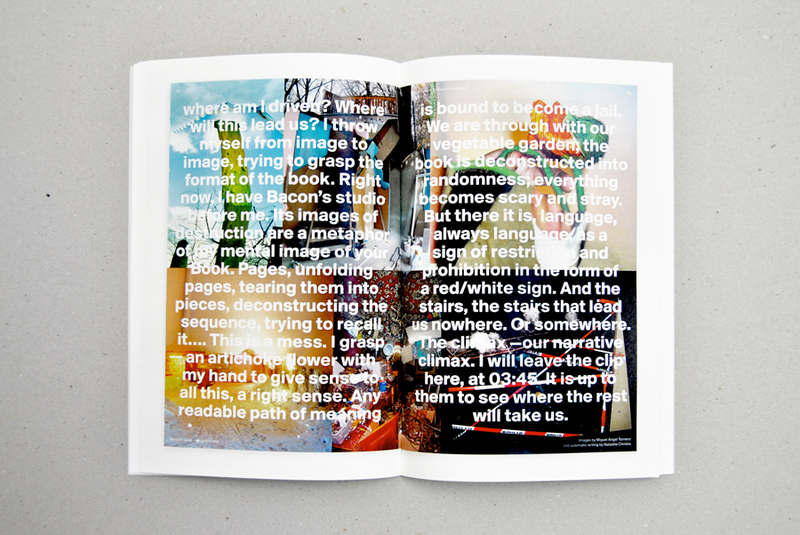 He chooses “burning books” as his subject matter and stages it on the printed page as a collage of archival images coupled with colour pantones. This curious coupling leads to a series of peculiar connotations in terms of both aesthetic effect and content. Pantone colour patches evoking the craft and production design values of the printing industry find their place alongside historical events of undeniable earthly absurdity, such as the ceremonial book-burning campaign of the Student Union in Nazi Germany and the condemnation of Salman Rushdie’s controversial Satanic Verses. The title Divine Fire alludes allegorically to “The Divine Proportion” (also known as “The Golden Ratio”). Ironical in tenor, it underscores the ill-fated relations between books and ideologies that lay claim to universality or divine and omniscient scriptural authority—an ardent relationship that in most cases has ended in flames. The artist’s pic 2: Our second guest is Spanish visual artist Miguel Ángel Tornero, whose approach to photography is characterized by curiosity and instinct. 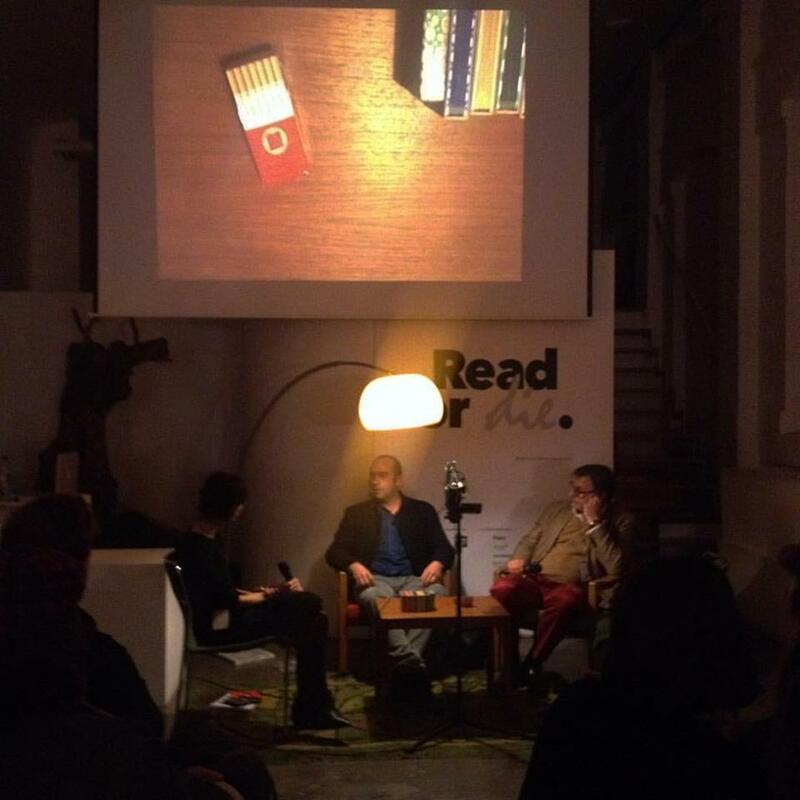 Tornero is the author of The Random Series—berliner trato, romananzo & madrileño trip. 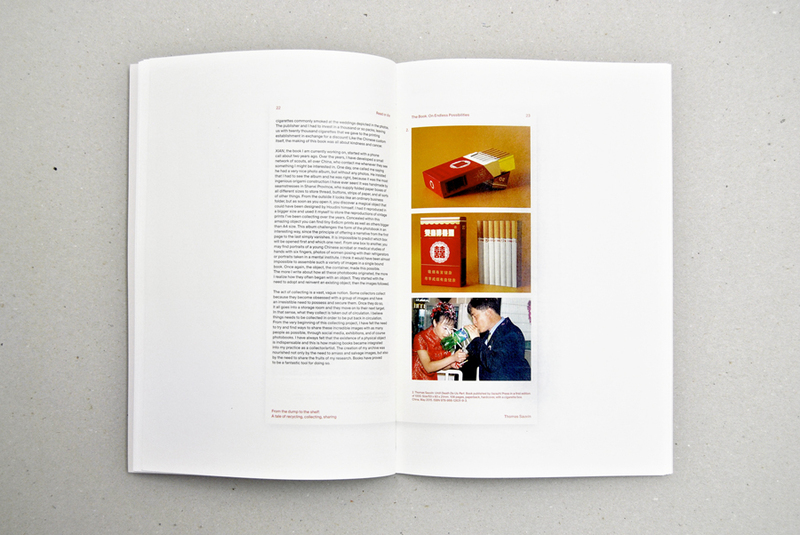 The Random Series (RM, 2014) is a random photobook in every sense of the word. Defying conventional classifications, it literally incarnates its title through format and content. Each copy of the book is individually and randomly bound. The pictures featured in it, shot with a compact camera, have been automatically reworked into unsettling digital collages due to the glitch of a software program that was not originally designed to sew apparently unrelated images together. The texts that accompany them seem likewise incongruent: their original Spanish-language version was successively filtered and re-edited, using Google translator, into German, Italian and then back into a chaotic Spanish. In Random Series for Quick Writers, Tornero proposes a further exercise. 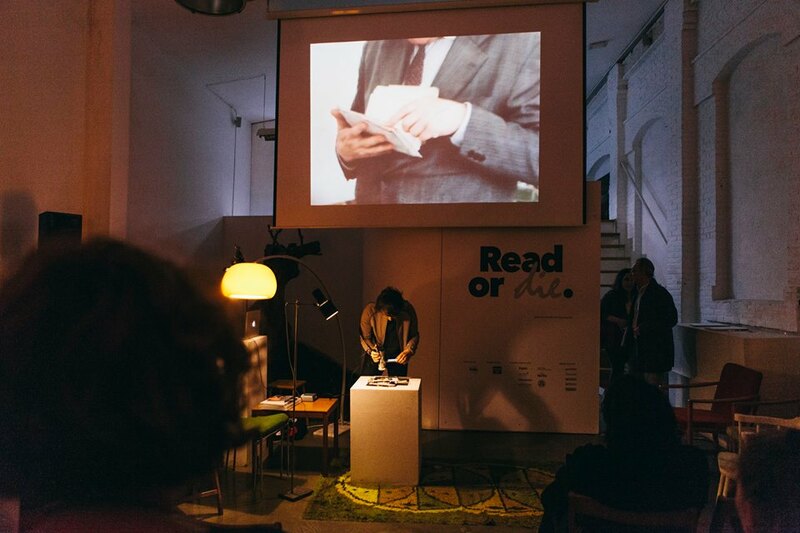 Now it is the reader who is asked to respond automatically, through the written word, to a screening of material extracted randomly from the book. 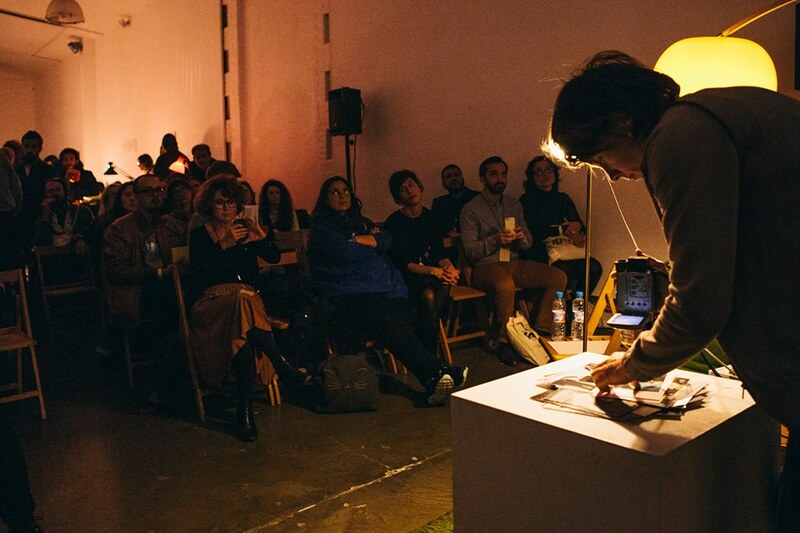 This real-time performative experiment seeks to stake out a novel zone of interaction with the audience through the mental disembodiment of the book sequence and form. Inspired by Dadaist and surrealist actions, it reinforces the sensation of chaos and transposes the authorial voice of the photographer-flâneur/Japanese tourist, claimed by Tornero in his original work into the audience. I was invited to be the artist’s first interlocutor and the outcome of my effort is presented here. My journey into Miguel Ángel’s book was surrealistic, dreamlike, and very fulfilling. Curiously enough, in spite of my initial reservations, I feel more connected to the book-object now. Our experiment anticipates the collective automatic writing session that will take place during our November encounter. Showcase: Finally, our core content is complemented by a showcase devoted to the independent publishers and book agents who participate in the market. This section is our “garden of delights” and a point of expanding debate. It epitomizes a sort of aesthetic and ideological statement that opens onto a unique bookshelf of exquisite books and quotations that our guests have generously shared with us. 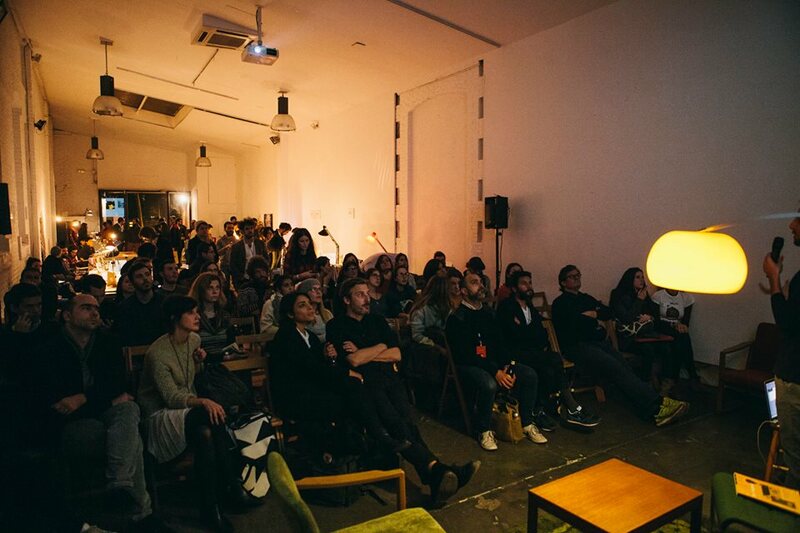 Copyright: Natasha Christia / The Folio Club, 2015. 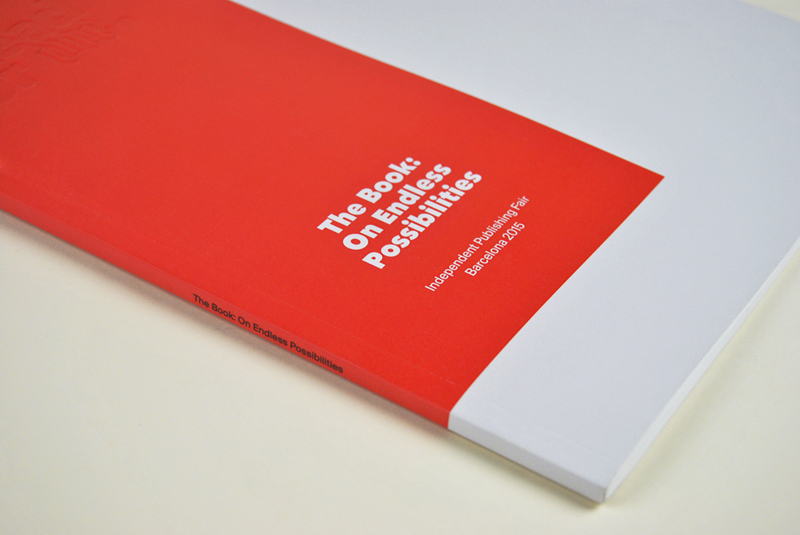 Share the post "The Book: On Endless Possibilities (2015)"